Optimising your webpage for search engine can be very rewarding. But if you are thinking of exhausting its capabilities for your business, would you let just anyone handle it for you? In this episode of Insider Marketing Secrets, David Counsell talk about the complexities of search engine optimisation and what can it do to your business, both positively and negatively. It is important that you provide good content but to a point that you do not overstuff it with keywords. It is great to have links on your webpage but it is better if your getting links from reputable sources. Avoid the link farms, unless you want Google to rank you down. All these and more are the things we will be discussing today. So, click on your free video and have a listen. 03:55 Until we talk again, goodbye! 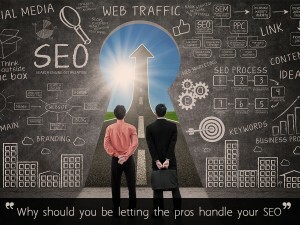 Top SEO Company in Hobart Offering Quality SEO Services at Low Prices.